Product information "Fun Works sixfifty-b Alloy Frame"
Superlight Alloy Frame, triple butted for agressive cross country racing. 73 degree seatangle for great climbing performance. This is a special build to order product. No return possible. 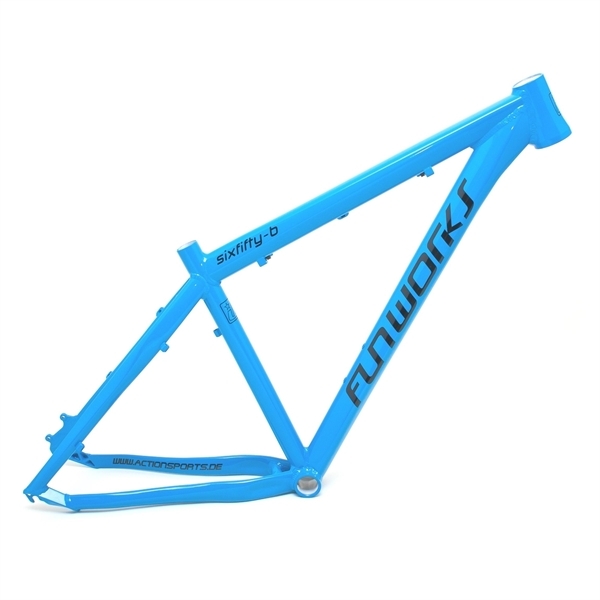 Related links to "Fun Works sixfifty-b Alloy Frame"
Customer evaluation for "Fun Works sixfifty-b Alloy Frame"